Expect some more fast times this season in the girls' mile! Northern's Marlee Starliper and Greencastle-Antrim's Taryn Parks enter not only with the state's only returning 4:50 times, but also the only sub-5 times in the state. Starliper won the battles over Parks this fall on the XC trails, but Parks will be looking to close that gap on Starliper on the track over the mile distance. Last winter, Starliper ran to a mile/3K sweep at the indoor state meet. She dropped mile PR of 4:43 to take the win, and very nearly won an indoor national title, but faded in the final lap. Parks, meanwhile, was third in the mile at indoor states and went 4:49 at indoor nationals. In the outdoor season, Parks got some revenge, winning the AAA state title over 1600 meters, running a 4:46 for the victory at Shippensburg. Starliper, who was coming off the 3200 meters earlier on a hot day, wound up third. Look for this pair to chase some history this season. 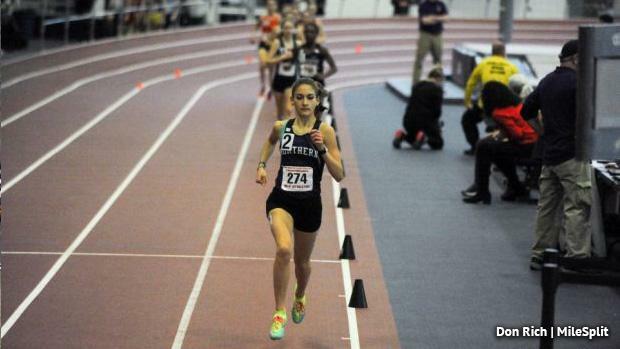 The PA state record of 4:42.58 by Brianna Schwartz, has stood since the 2014 indoor state meet. The only other returning state medalist is Jessica Schneider of the Academy of Notre Dame. Now a senior, she was fifth at the state meet and comes in with a best of 5:05 from last winter. The other girls back this season who have run sub-5:10 indoors last year are Strath Haven's Grace Forbes, Elizabethtown Area's Katie Locker, State College's Kileigh Kane, and Oakland Catholic's Hannah Schupansky. Kane, who was second at XC states in AAA, was sixth at outdoor states in the AAA 1600m last spring. Locker and Carlisle's Sophia Toti also medaled at outdoor states in AAA last year. Isabelle Goldstein of Germantown Academy went 4:55 outdoors last year and should be a factor this indoor season. If she contests indoor this season, Shady Side Academy's Melissa Riggins will be a serious factor after running 4:52 last spring for 1600 meters.